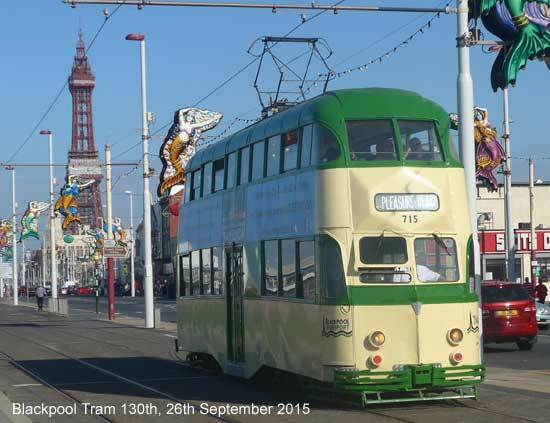 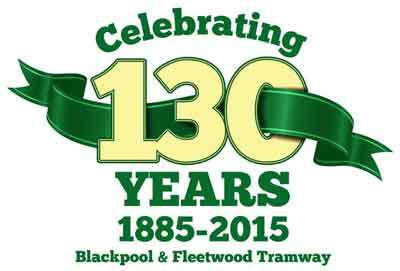 The weekend 26/27th September 2015 was chosen to celebrate the 130th year of Blackpool's tram system as it was the nearest weekend. 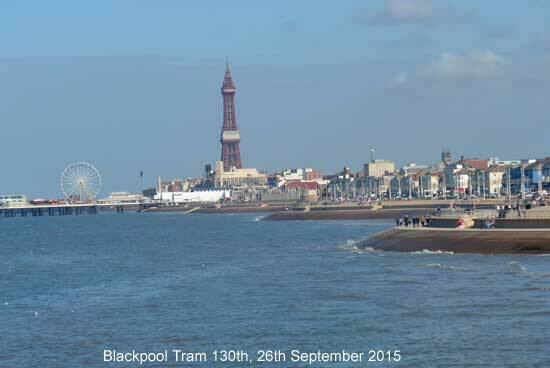 Fortunate as the weather was very good. 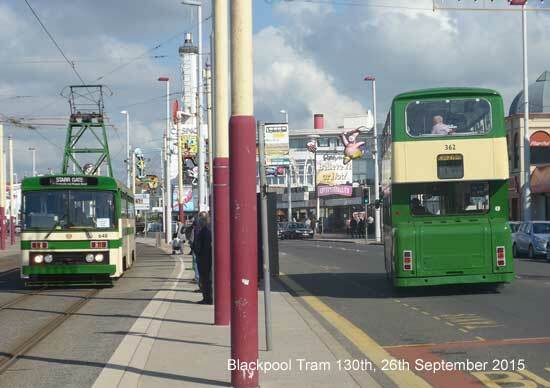 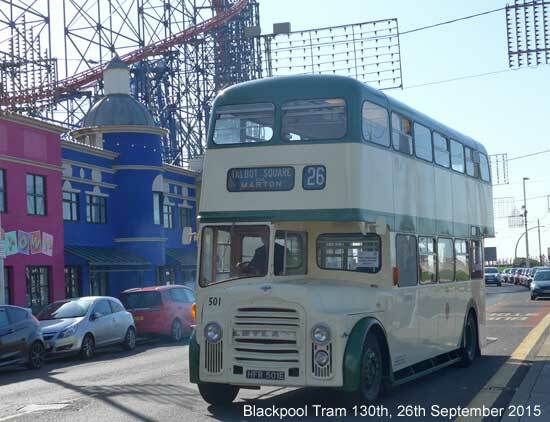 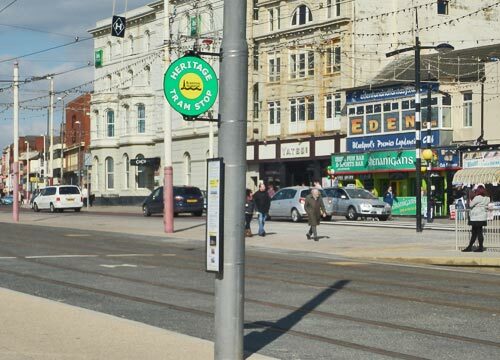 More Blackpool Heritage Trams are now available and there is more confidence working them on the new light rail system. 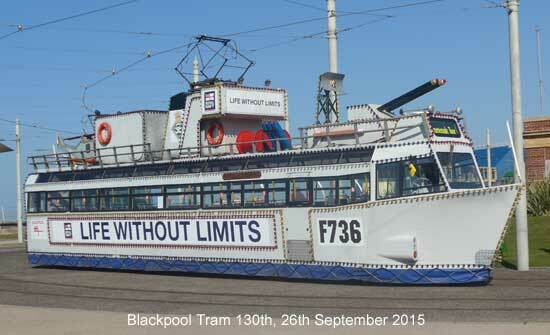 On this weekend it was said up to 14 would be in use each day. 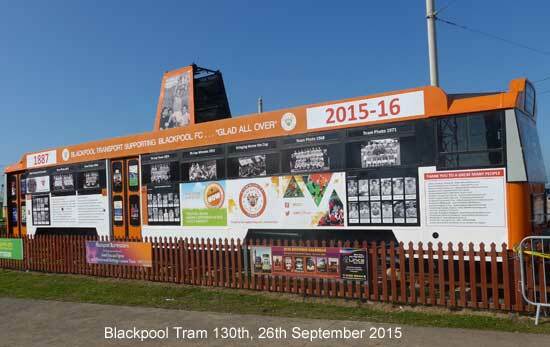 In addition there was a static display at Blundell Road, the home of the heritage trams. 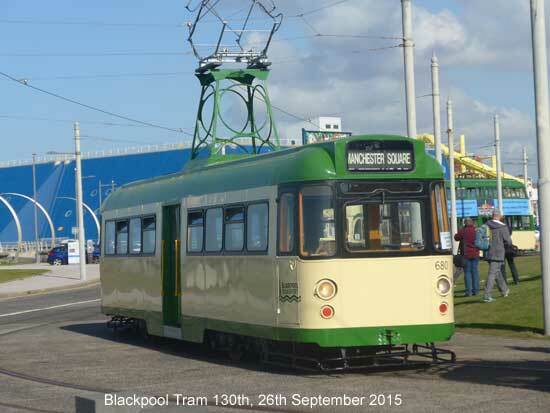 There were also tours of Rigby Road and of the new tram depot at Starr Gate. 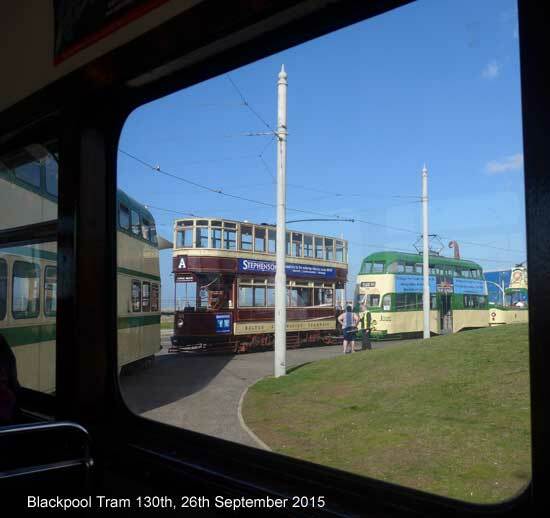 Vintage buses ran along roads where tram tracks used to run. 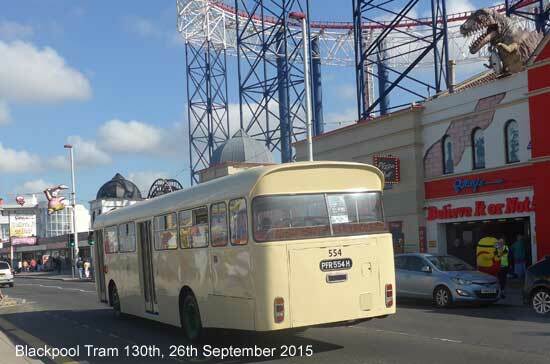 There were also souvenirs and regular journeys the full length between Fleetwood and Starr Gate. 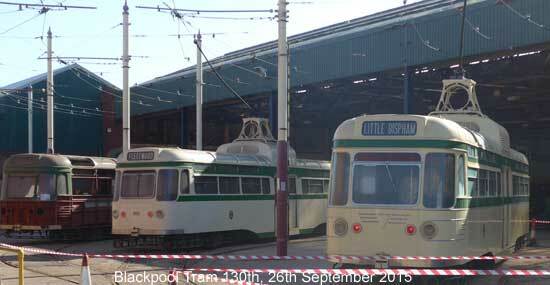 Rigby Road Depot, formerly main tram base and now home of the heritage trams. 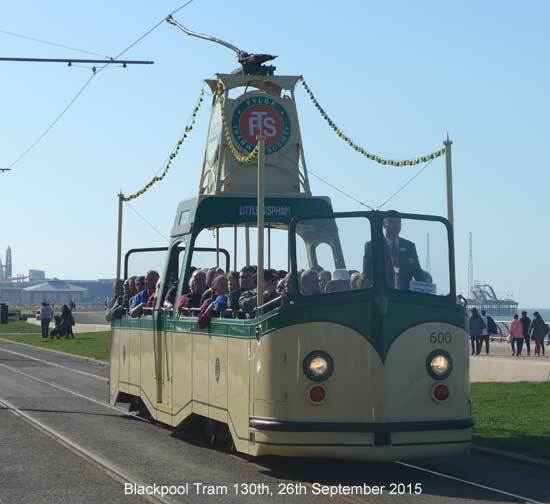 Tram below on loan from Heaton Park, Manchester. 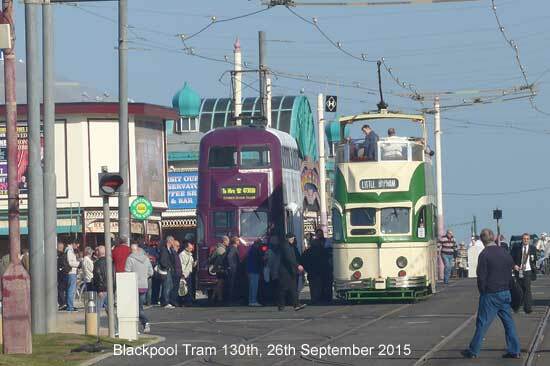 Tram below is stationary outside the Pleasure Beach celebrating Blackpool Football Club. 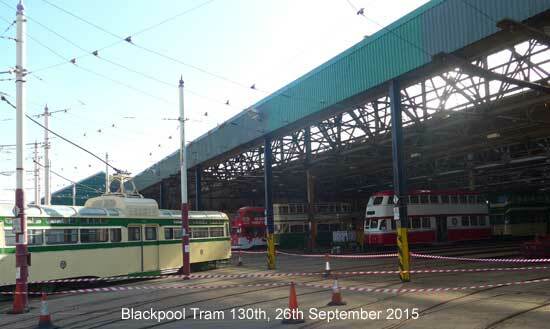 Below is Rigby Road Tram Depot where the heritage trams are kept.